What Would You Change About... WildStar? 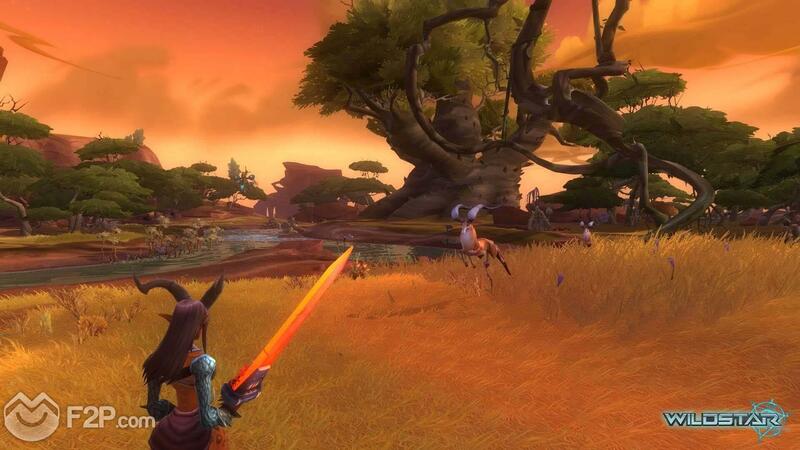 What Would You Change About… WildStar? For our newest “What Would You Change About…?” article we’re looking at Carbine’s sci-fantasy free to play MMORPG WildStar, a fully feature packed title that comes complete with PVP, PVE, dungeons, crafting, exploration, housing and generally everything you would expect of a triple-A MMORPG. Whilst the planet of the Nexus offers many things it isn’t short of its own issues that hold back and in some cases have really hurt the game. There are a variety of items that are bound to your character and not your account. Whilst we fully appreciate that the game has to make money somehow, and as far as the core business model goes we’re definitely on board (more so now that they have switched to an F2P model after the original paid sub model). However, our biggest problem is that cosmetic items are account bound when they are, in reality, just fluffy aesthetics that don’t really add anything mechanical to the game for the most part, and paying cash to have them bound only to one single character is quite frustrating. Most players aren’t going to be willing to buy the same cash cosmetics for multiple characters (at least we don’t think they would in any great number) and instead it just frustrates the playerbase that they aren’t available to all of their characters. In all honesty we think that if cosmetics such as mounts, costumes and pets were bound to an account and all characters could use them then players would probably be far more willing to buy more of them. Players from different factions cannot talk to one another. Whilst this isn’t exclusive to WildStar it is a frustration we have for every other MMORPG out there that does it that stops players in opposing factions communicating with each other. Firstly, given that the game is a story focused RPG, this makes no sense on a roleplaying level given that you constantly communicate with NPCs of opposing factions throughout the course of your questing journey from level 1 to cap. Whilst some companies say it is in place to stop harassment of opposing faction members… what’s the point? Players constantly harass each other when they’re in the same faction anyway and you deal with it by muting and reporting; it’s a fine system. The big issue with no cross faction communication is that frankly the playerbase just isn’t big enough and not being able to talk to one half of the server is just extremely noticeable. Players should be able to speak to anyone. Constant content release promises were pushed out. Although this is far from something new, it’s a real big thorn in our side that we’ve never gotten over. Before the game launched Carbine made a big song and dance that one of their big things was going to be decent sized content drops every month; more story driven content that would add extra stuff for players and was a major pull for anyone who has sat in endgame purgatory with nothing to do in other MMORPGs. The promise of new stuff being added in every month was a massive massive draw to the game, and sure enough it got people really interested. It didn’t take that long before the developers turned around and said “Actually, that whole content every month schedule? Yeh we’re not going to be able to follow through with that” after giving players the high expectations. Making this promise even further from ever being fulfilled was the large layoffs (never really a good thing for a growing MMORPG). The fault, we believe, was in trying to do too much too soon, with a release like The Strain it was a huge expansion level drop and there was just no way the team could ever live up to that level of drop every month, furthermore the lack of resources and mounting pressure meant that The Strain was littered with bugs and issues. If we could change anything we’d bring back regular drops, just in a more manageable two to three month release and much smaller; a little bit of something every so often is better than a whole lot of nothing never. The population of the game seems to be constantly dropping. When the game initially launched Carbine presumed they could push a World of Warcraft style subscription based MMORPG, a game that whilst being very feature packed had zero franchise behind it or fan base prior to the game release. No big surprise it didn’t work out and the game has played with the EVE style Plex system where you can earn your subscription by playing (their C.R.E.D.D. system). Still not as successful an approach the developers tied in the full free to play option late last year to try and boost the games’ population; the constant change in business models tells us that they’ve struggled. The truth is that the game servers can feel pretty vacant at times, megaservers and server merges highlighting this fact even more. WildStar needs to worry a little less at how they can bring big surges of players in and start worrying about the things that are making people leave. So that’s what we’d change with WildStar, but more importantly what do you believe should be changed? What do you think could/should be added to improve the game? What would you add to your own personal wish list? Let us know what you think in the comments below!